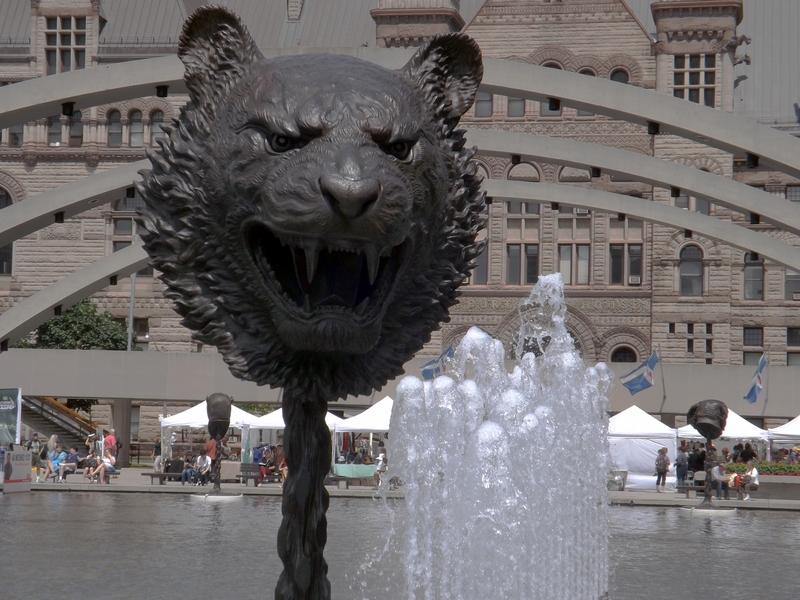 Last week I was at Nathan Phillips square in Toronto to visit the display of incredible pieces of sculpture by Chinese contemporary artist Ai Weiwei titled Circles of Animals\Zodiac Heads. This is a prelude to his exhibit at the Art Gallery of Ontario to start August 17. The poster at the exhibit describes him as an artist ‘who uses art to question his government.’ How appropriate that his art is now on display right outside Toronto’s City Hall. The current exhibit was opened by our controversial mayor himself, Rob Ford. Ai Weiwei’s Zodiac heads are oversized. All the 12 heads are cast in bronze and sit on bases. Each head weighs about 800 pounds and is four feet high and three feet wide. Together, each head and base measure ten feet high. 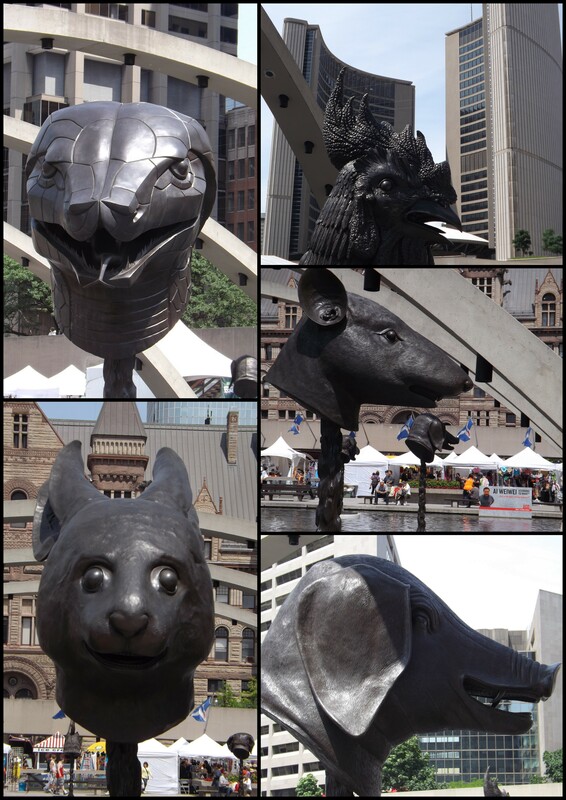 Every summer in Toronto, there is always a wide variety of art on display from all over the year. What a great city we live in.